Krystyn has been the keeper of Andrew Satko’s old 8mm movie reels. She mailed them to me (Rand) last year (2018). I finally scanned them and did some limited color correction and stabilization. Most of the reels and boxes had minimal descriptions which I started with for the title of each. It may be inaccurate or mislabeled, and I’ll change them as we go. And a couple of the reels look like they were spliced pieces from various other reels. 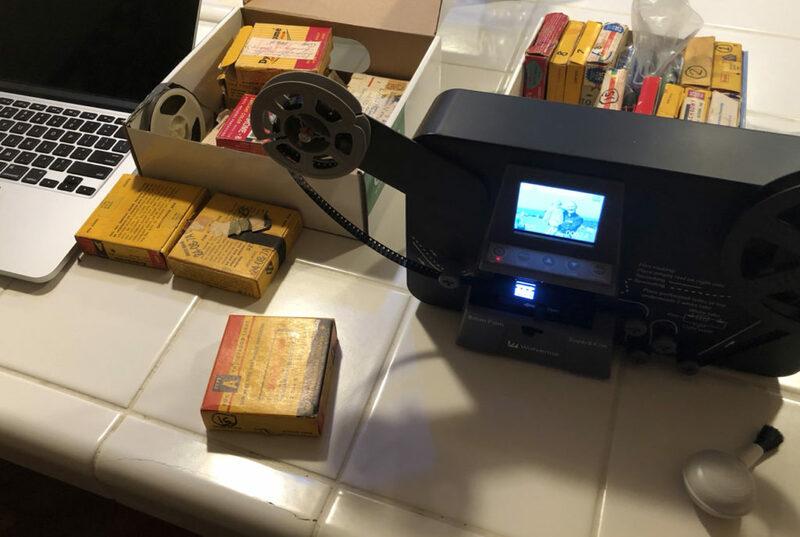 The reel numbers are simply the order I scanned the movies – so I’d have a number to refer back to. As we get all the reels dated, I’ll move them to date order. Please comment below. Especially if you have more information, a correction, or the date of a particular reel. Reel 04 – ('61) Lansford and Tudor St.
First – I have no idea who all the weddings were. Second – Reel 14 is not really missing – it was a purchased film of Hawaii. I can’t wait to watch these! This is AWESOME. Thank you Krystyn and Rand. So far, on reel three, the wedding is Joan Weidemans. Georgines friend from Grace Bible. You see Gg in the wedding party. Reel 8 is at least 1960 cause I was 2-3 in that. Reel 9 was the wedding of Mike Vince?? Why do I think that was his name? And wife Rae? Do you see Aunt Anna? So wonderful!! I recall at that wedding dancing all night and getting my dress all dirty from dancing. Crazy! It’s like we’ve been transported. Mom acts like a little kid, uncle Ron acts like a big kid even though he’s got kids, aunt mb and gg and barb….it’s just awesome to see it. And then gma and gpa! Oh, aunt dot…. and so many more. I love this so much!